On May 10, 2018, Touch Foundation’s staff, board members, and guests enjoyed a wonderful evening at the Morgan Library & Museum in New York City learning about the future of healthcare in Tanzania while celebrating Vik Malhotra and McKinsey & Company’s enduring commitment to Touch’s work. 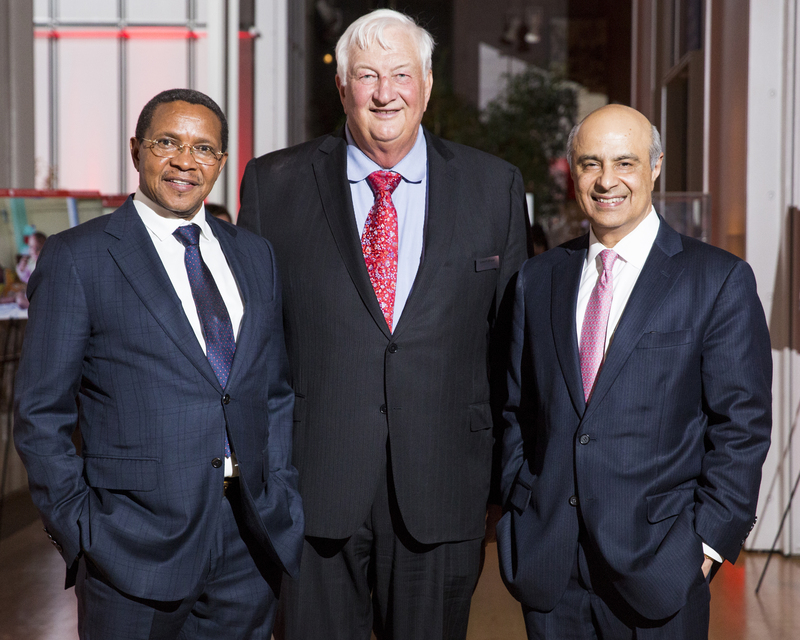 We were honored to host the former President of Tanzania, Jakaya Kikwete (pictured here alongside Touch President Lowell Bryan & Honoree Vik Malhotra), at this year’s Asante Supper. While serving as President of Tanzania from 2005 to 2015, Mr. Kikwete made healthcare a national priority, greatly expanding the government’s investment in the training of healthcare workers and the expansion of healthcare facilities nationwide. Mr. Kikwete has been a longtime friend of Touch: his leadership enabled us to enter into a Public Private Partnership with the Tanzanian government and the US government, which remains in place to this day. We were delighted to share our accomplishments and vision for the future of healthcare in Tanzania with Mr. Kikwete, who continues to be a dedicated maternal and child health advocate through his partnership with The Access Challenge’s One By One: Target 2030 campaign, which is aimed at promoting universal health access in Africa. To learn more about Touch’s accomplishments and vision for the future of healthcare in Tanzania, we invite you to watch our Asante Supper video.